In Genteel-home, we offer you a variety of luxury apartments to make your stay in Málaga a success: decorated with style and looking for comfort, and with all the necessary equipment. In any of them you will find the best option for your trip to this amazing city in the south of Andalucia, and in the best locations. The best apartment rental in Barcelona is in Genteel-Home. 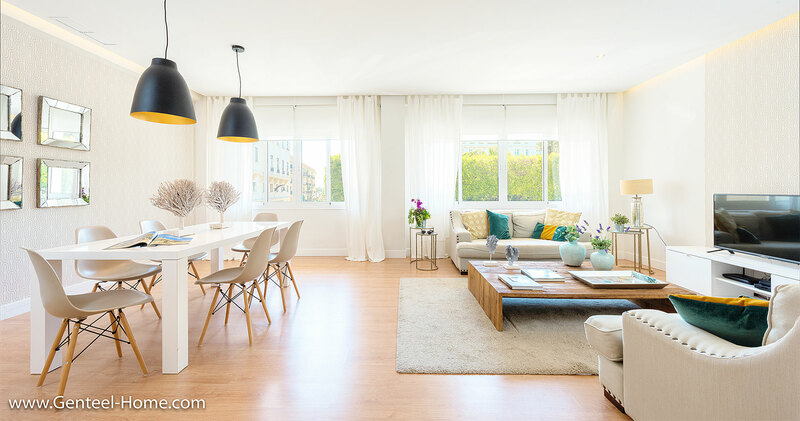 We have wonderful apartments located in the most exclusive zones of the city: La Rambla, L’Eixample and El Born neighborhood. Chose the one who better adapts to your necessities and enjoy an unforgettable stay in the most cosmopolitan and modernist city of Spain. The Andalusian coasts are worldwide famous for the wonderful weather, the varied and rich gastronomy, and all the leisure activities that can be enyoyed, which will delight all those who come to enjoy their wonders Genteel-home has a selection of amazing apartments in coastal locations , decorated with the best qualities and always looking for the comfort of our guests, and located in the most exclusive areas, Staying in any of them, it would be very easy to have an amazing stay!